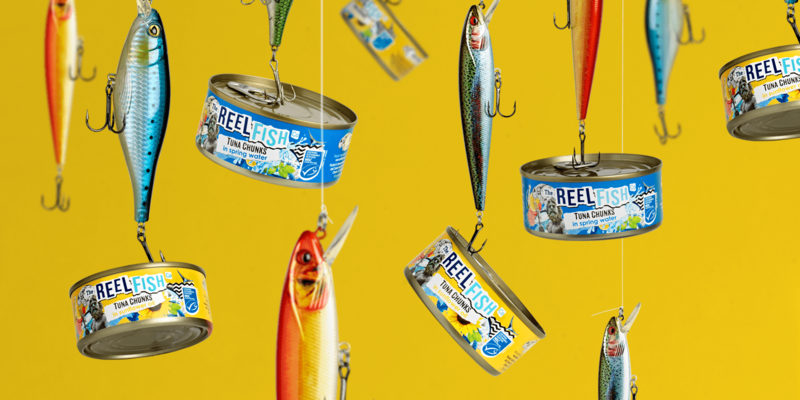 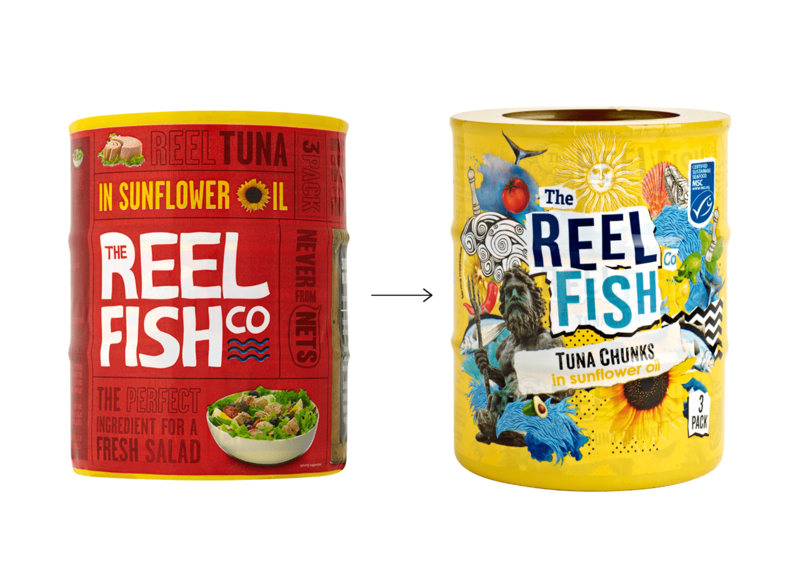 The name says it all – The Reel Fish Co. is different from big-name tuna brands. 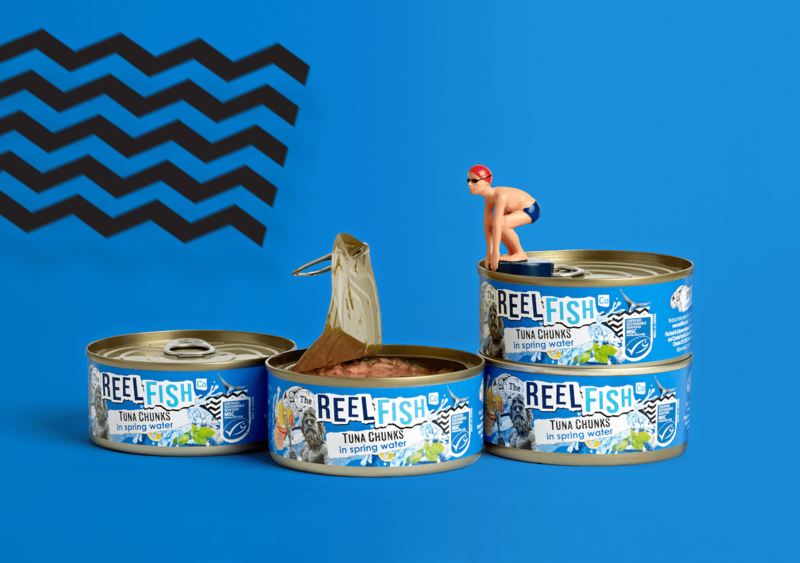 Not only do they catch their tuna using innovative ethical methods, the quality and versatility of their product are second to none. 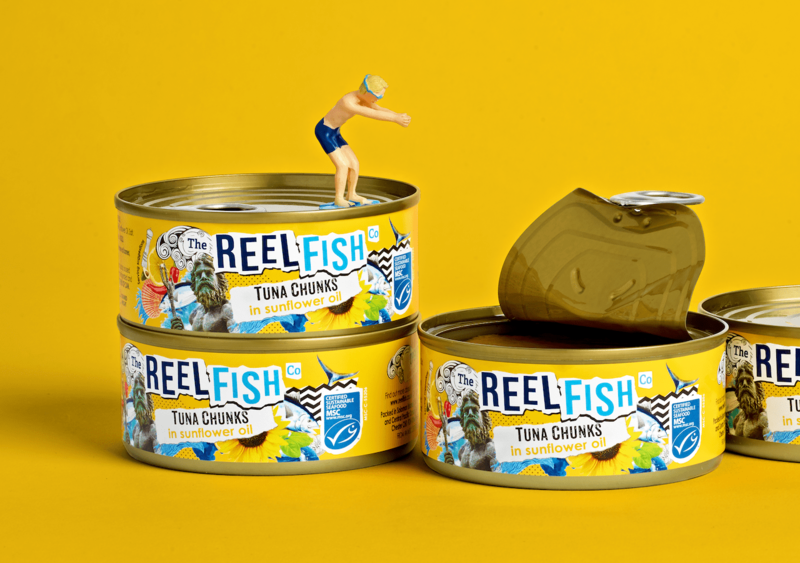 They approached us to create a challenger brand and re-invigorate the tuna aisle with culinary creativity. 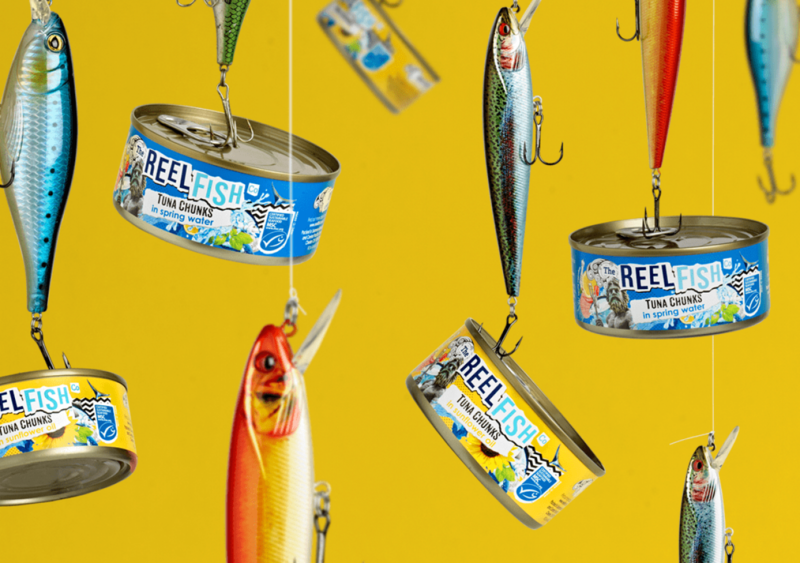 Thinking outside the can, we created the ‘Fish Unlimited’ positioning and developed a vibrant design to appeal to a new generation of savvy mindful eaters who demanded more from brands. 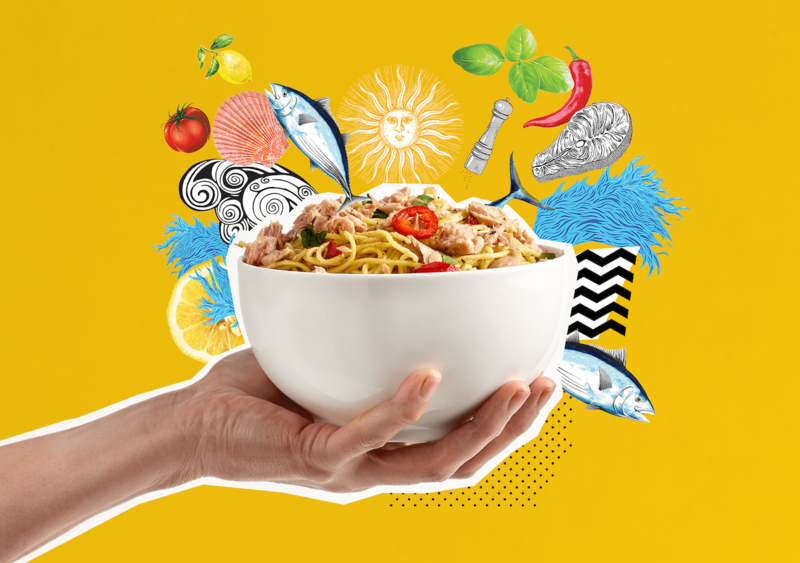 Our design was a feast of inspiration, with ingredients and meal ideas bursting out of a contemporary and eclectic logo. 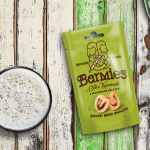 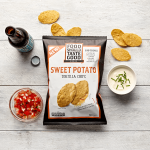 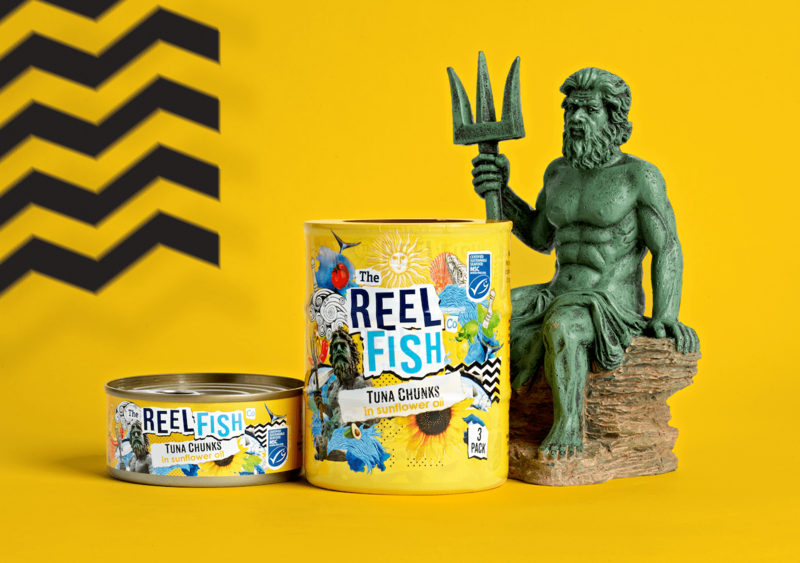 We developed a tone of voice that went beyond where tuna had gone before and designed a website and ad concepts which got the big supermarket buyers excited. 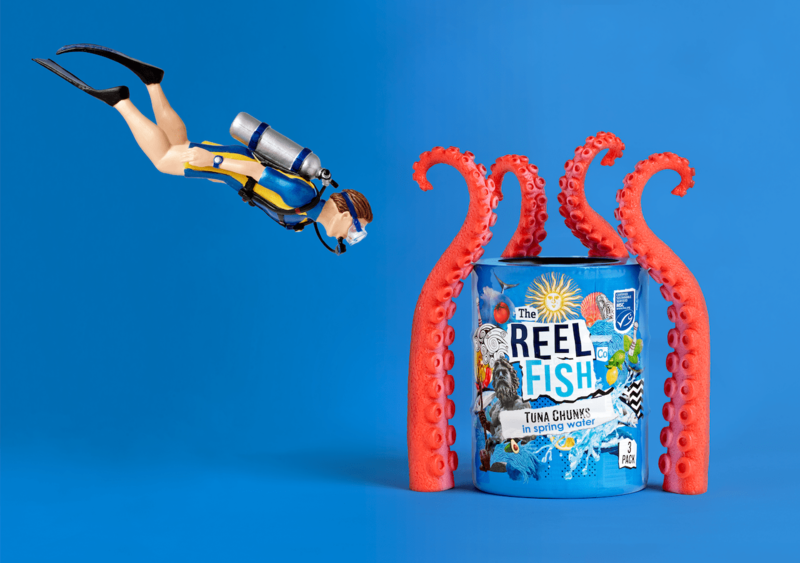 With an energetic and creative brand, Reel Fish now has the power to make waves in the tuna aisle.